Hello everybody! Welcome to my personal blog dedicated to the SQL Server Query Processor. 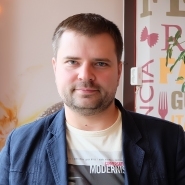 My name is Dima Pilugin, I’m a SQL Server enthusiast from Russia, Moscow. I started my journey to the world of SQL Server more than ten years ago, from the version 2000. Most of the time I was involved as a developer of corporate information systems based on SQL Server data platform. Currently, I work as a database developer lead, responsible for the development of production databases in the media research company. I’m also an occasional speaker at various community events and tech conferences like SQL Saturday, 24 Hours of PASS and so on. My favorite topic to present is Query Optimizer and any things related to it. In 2010, I started my Russian blog: www.somewheresomehow.ru, where I published my notes about query processing and optimization from time to time. Now, I decided to make an English version of my blog and dedicate it to query processing only, so here it is. This blog is about query processing. But what is a query processing? There might be different definitions, and I’m going to give the one, specific to this blog. Query processing – is a set of actions, that a server should do, from the moment when the query was first acquired, till the moment when a server is ready to work with the data from database files. I’m not going to touch internal storage formats, memory, locking or something else, unless it will be important for the optimization or execution strategy. Certainly, there is a lot of things related to those mentioned above, and I’ll definitely talk about them, but it is not the main goal. All the information presented here is of my own, and is given for purely educational purposes. All the scripts are posted “as is” and have no warranty. More to the point, a lot of things posted here (not to say most), is undocumented, and should not ever been used in production systems. I take no responsibility if something goes wrong. However, I’m not going to frighten anyone. Just remember undocumented precautions and use it the test environment only. Please, feel free to contact me if you have any questions or suggestions.